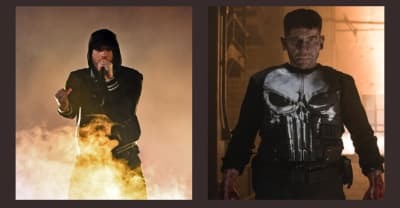 Eminem tweeted Netflix to say the company is "blowing it" by canceling Marvel show The Punisher. 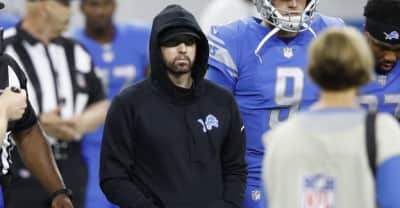 Watch Boogie and Eminem's music video for "Rainy Days" from Boogie's Everything's For Sale album. 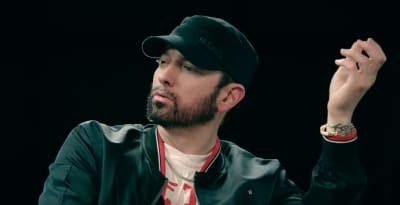 Eminem shares "INCREDIBLE" footage of comedian Chris D'Elia impersonating him. 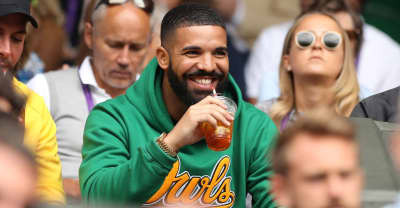 Buzz Angle Music's year-end music industry roundup has Drake and Eminem leading the pack. 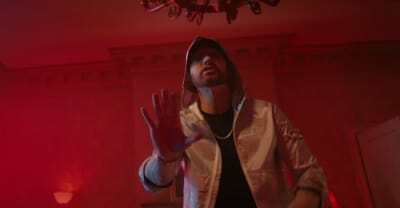 Watch Eminem's video for "Good Guy" featuring Jessie Reyez. 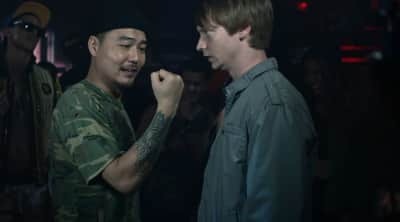 Watch the battle rap comedy Bodied, produced by Eminem. 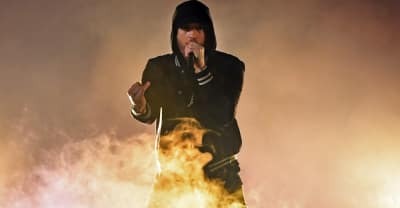 Eminem recorded a special performance of Kamikaze single Venom for Jimmy Kimmel Live. 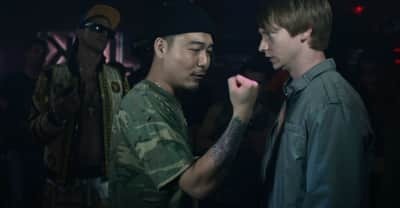 Watch the red band trailer for Joseph Kahn's Bodied, produced by Eminem. 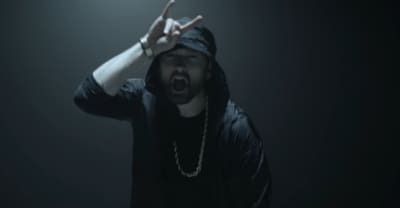 Eminem has shared a music video for "Venom" from his new album Kamikaze. 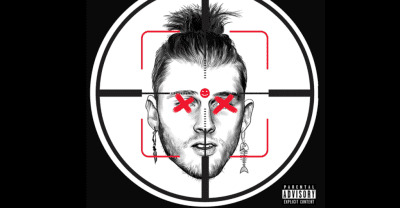 Eminem's Machine Gun Kelly diss "KILLSHOT" had a big first week debut. 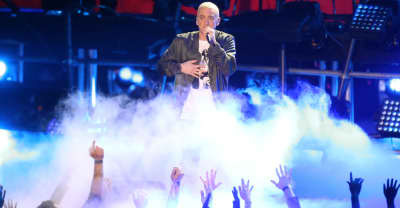 Eminem made Youtube history with his Machine Gun Kelly diss "KILLSHOT," grabbing 38.1 million views in 24 hours. 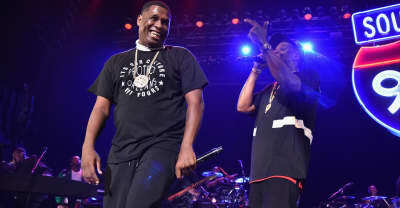 Jay Electronica has left Twitter after excoriating Eminem for a Diddy line on his diss track "KILLSHOT." Listen to "KILLSHOT," Eminem's response to Machine Gun Kelly's diss record "Rap Devil."